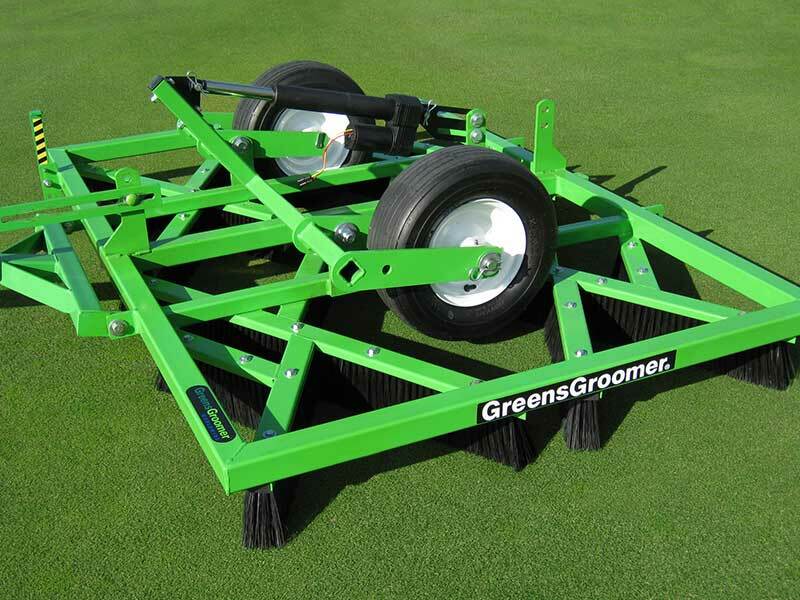 The Second Generation GreensGroomer® raises the bar on performance and efficiency. The patent-pending design increases the effective surface area and improves brush angles which translates into significant performance gains. The FairwayGroomer is an adaptation of the Original GreensGroomer. With the addition of our Extension Wings and Heavy Duty White Brushes, the FairwayGroomer breaks down larger aeration cores fast. 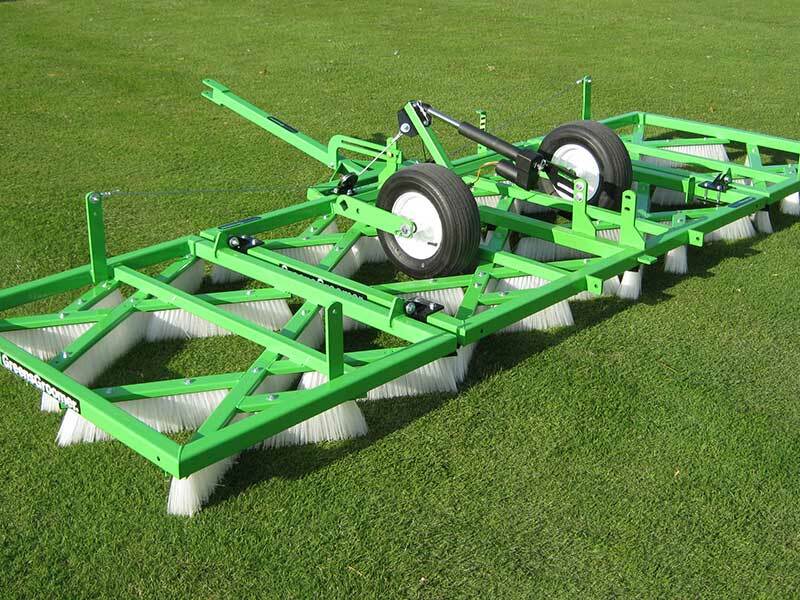 With a 12-foot operating width, it doubles the effective brushing area and still maintains our true "one-pass" performance promise. Imagine if you had the ability to spike or aerate without all of the complex machinery, doing it with efficiency AND performance. As an affordable alternative to motorized methods, the GreensSlicer is a ground-driven, well-engineered performer.